Merrill Lynch’s force of experienced brokers appears to be significantly smaller than the broad numbers disclosed in its public reports, according to brokers who were given statistics on their productivity rankings last week. The “thundering herd” of producers championed by Merrill Lynch Wealth head Andy Sieg comprises around 12,290 brokers, below the 14,796 the Bank of America brokerage unit disclosed to the press as part of its fourth-quarter earnings on January 16. Merrill does not break out how many of its brokers are trainees in its Financial Advisor Development Program, which, as at many firms, has high rates of attrition. Large brokerage firms have historically flaunted the size of their brokerage forces as a key metric for shareholders to use in evaluating asset-gathering and revenue potential. Knowing the exact numbers of experienced advisors gives insight into firms’ ability to retain experienced advisors from quarter to quarter, a number of increasing importance at a time when large firms have cut back on expensive recruiting from each other, analysts say. A supplement to Bank of America’s fourth-quarter earnings release flaunted a total of 19,459 “total wealth advisors” in its Global Wealth & Investment Management division, including 17,518 “financial advisors.” The division includes Merrill Lynch Wealth and the bank’s much smaller U.S. Trust private banking business. The FA totals include Merrill Lynch trainees, almost 3,000 Merrill Edge brokers and early-career advisors hired from other firms. Attrition of brokers that Merrill officials calculated at 2.6% of the force in 2018 was near all-time lows, Bank of America Chairman Brian Moynihan said on an earnings conference call with analysts. Large brokerage firms historically have attrition closer to 5%. A Merrill spokesman said the sub-13,000 “experienced” figure that brokers were shown last week to get perspective on their rankings within the sales hierarchy excludes experienced new hires with less than a year at the company as well as unlicensed trainees. Experienced advisors at Merrill averaged $1.36 million of revenue in 2018 compared with $1.05 million for its total force, BofA said in its earnings reports. According to two sources who saw the internal ranking summary, a broker producing $2.1 million last year would have been in the top 6% of Merrill advisors while a broker generating just under $116,000 would have been in the bottom 6%. Merrill is not alone in being imprecise about the size of its advisor force. UBS Wealth Management last week reported 6,820 financial advisors in the Americas (including a small number in Latin America), although brokers said numbers provided in internal rankings put the U.S. figure at 6,320. Neither Morgan Stanley nor Wells Fargo Advisors—the other so-called wirehouses—break out from their gross advisory force numbers the totals in training programs. Morgan Stanley said its advisor force at yearend 2018 was 15,800 while Wells Fargo reported 13,900 advisors, including those in its Financial Network (FiNet)independent contractor unit. 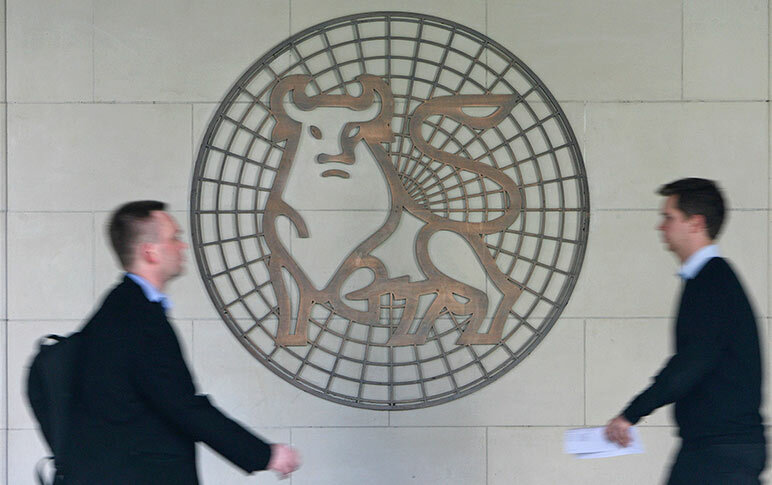 Consultants said bulk at the large brokerage firms has become less important than in the past as they focus on raising productivity by having advisors in their traditional brokerage groups promote investment services and products to the very wealthy. (Merrill Lynch for years has not paid its Wealth Management brokers on accounts with less than $250,000.) UBS executives in October said that they were no longer aiming to employ between 6,500 and 7,000 brokers in the Americas. The size of the retail brokerage forces at the four wirehouses has declined by more than 14% to 54,400 from almost 63,000 at the end of 2007, Pirker said. This article is true – Sieg is intentionally misleading the public on the headcount by counting every trainee, and their cats, in the headcount numbers. This true lower headcount makes the record profit even more impressive. The remaining experienced advisors are doing extremely well and making tons of money for BAC. In light of the recent pay cuts and penalties for 2019 – when addressing the FA’s last week Sieg actually had to reverse spin the numbers to make them look less impressive because of the ackwardness of the pending pay cuts. He said revenue is up 4%. Read the press release – it’s actually up 7%. He said the profit margin is 25%. Read the press release – it’s 29%. He used a less favorable longer term average to downplay the success in light of the pay cuts. He told the troops last year the pay cuts were necessary because revenue wasn’t growing as fast as FA costs. Read the press release – expenses were up less than 2%. I think 2% expense increase is a bit lower than the 7% revenue growth! Sieg is in BAC’s back pocket! Andy Sieg continues to lie to the sales force about everything possible to force lower payouts to the FAs. I’ll wager he and his cronies aren’t taking the pay cuts that he’s imposing on the folks that actually bring in the revenues! it is obvious that Andy speaks from both sides of his mouth. He wants to be the CEO of BAC so bad he will lie, cheat and fire his brother. Andy is trying to eat cake and go on a diet at the same time. Please tell me you are not making investment recommendations for your clients based on “data” from this site. That makes you more of a joke than we actually thought. Merrill Lynch has a LOT (irrespective of the exact number being debated in this article) of talented and highly productive advisors. Regardless, I have seen no concrete correlation, and I doubt any exists, that suggests that their productivity is largely due to the fact that they are employed by the Bank of America Merrill Lynch. In other words, it is highly likely (and experience bears this out) that they would be just as productive elsewhere. Of greater significance is the fact that we have (and have had for a while now) a disproportionate number of ML advisors in the pipeline looking at other options, purportedly because of a rising level of discontent at the firm. That fact alone may not be a harbinger of an imminent diaspora, but the sheer magnitude of the greater number of ML advisors who are exploring other opportunities cannot be spun as a good sign for Merrill management, especially if they are already inflating headcount to try to look ‘bigger’ than they are. The big producers at Merrill are mostly all legacy guys that started way back in the day when Shreyer, Tully and Komansky ran the firm. They are rapidly aging out ( all will be gone inside of 10 years ) but given the the firms model of emphasizing managed money have been able to convert their accounts and can coast for years on their book till they decide to retire. Most of these guys will never leave for a check. They can work 4 hours a day and make 4-500k. Ants will never leave a picnic. Why is Merrill still in protocol, if I see experienced advisors leaving and they have not recruited anyone to replace them? The SEC doesn’t look kindly on false reports to investors. This needs to be looked at. I am part of the Komansky group and hopefully things will fall in place. 30 plus years worked out pretty well. Clients are happy because I do the right thing and MER does have a great platform. Don’t know what that platform or the industry will look like in 5-10 years. Hope to get 5 more good years and a 5 year CTP payout. Fingers crossed. Culture of Dishonesty! Any info from BofA is intended to manipulate the reader. The smaller internal number is designed to make advisor numbers look worse and convince advisors that they are doing poorly. The larger external number is to convince everyone that they are awesome. 70% of all advisors at the bank do less than $800,000. The bank continually touts a number that doesn’t really reflect their population. 30 to 40% of all advisors either inherited a book, are hoping to inherit a book, or they are legacy bank advisors. These groups don’t believe they would be successful at transferring their book. The bank can do anything they want with no consequences from these groups. Another 30 – 40% of advisors are over the age of 60. The bank can almost do anything they want to this group. They don’t have to leave protocol because they already have a captive audience and if they recruit someone, that advisor signs their life away. The bank is in the middle of a giant transfer of client ownership from the advisor to the bank and they are dishonest about it every step of the way. Mike- spent time with senior management, don’t think that is in the cards. Chill out and drink decaf. Wow, you must have failed out of the MER training program too. At least “crossing their fingers” isn’t their business strategy. Hank-you must be new to this site. It is filled with former wirehouse failures that are very bitter. They are jealous that they are gone and they all claim that they are killing it as indys. I think they are full of crap and they never talk about the client experience, only their payout. A loser is a loser. Sorry, not all true. I left Merrill recently and they are doing things to the advisors payout that no other major wirehouse is doing. No one but Merrill is penalizing an advisors production based on growth. They lost more season advisors then Morgan and UBS. By end of February when everyone gets there deferred comps, u will see another wave of brokers leaving. I side with Mike A. I haven’t seen any advisor happy there, except those who excepted CTP, or the advisor who inherited a book.